Newport Beach Harbor is developing a website and app to streamline online mooring rentals. NEWPORT BEACH — Today’s technologically savvy world makes it easier to instantly send messages to people and make hotel reservations with the click of a button. Why would boat slip reservations be any different? Using the web to reserve boat slips could soon become a reality in Newport Beach. Some marinas still have a somewhat archaic way of reserving slips, but many of the well-known marina destinations are beginning to offer the option of reserving slips online, be it through a direct website or second-party reservation sites such as SlipFinder. The pros and cons of online reservations are still being fleshed out, however, as more of these applications – or “apps” – are developed and begin to see common use. Avery Maglinti, a senior IT analyst for Newport Beach, unveiled plans for the development of an application system the city intends in the near future at the Newport Beach Harbor Commission meeting, Feb. 14. The major purpose of the website would be to: integrate the existing city billing and financial systems; manage long-term permit holder date, vessel registration and insurance; conduct mooring inspections; take online or mobile reservations from the public; and, streamline the check-in and check-out process. 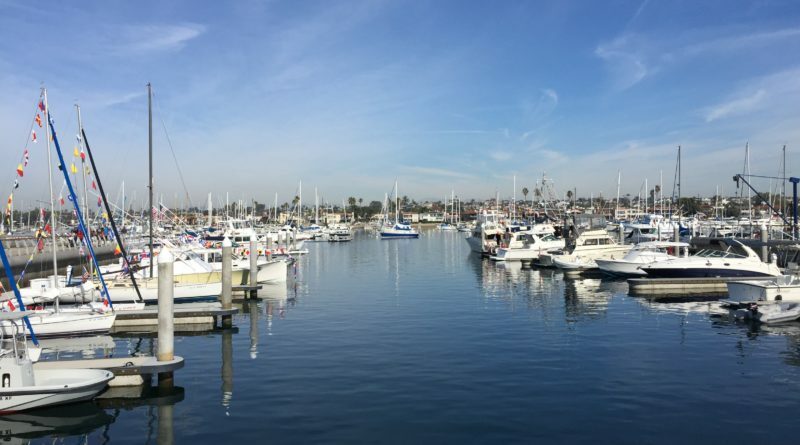 In other words, the website developed by Maglinti and his staff will work towards making finding boat slips in Newport Beach Harbor more accessible to boaters looking to moor there while solving some problems for harbor staff, as well. Transition for the website and app development began in July 2017 using existing software from Harbor Patrol to merge into CNB Harbor Operations. In December 2017, the management app, including mooring, slip, vessel, overhaul and document management system, was delivered. Coming up in April, Maglinti foresees the reservation system and online reservation system will be delivered, just in time for the busy summer months. A permit holder portal for registration, insurance documentation and mooring/slip uploads will be addressed in August. While the general public has not commented on their thoughts of the website, Harbor Commission Chair William Kenney did raise the point that the developments of the application seemed to be going well and it could be helpful for staff members to track available slips easier as well as keep track of occupants who had overdue payments on permits and rentals. Newport Beach, though, is not the first city to merge technology with slip or mooring reservations. Catalina Island is ahead of the curve when it comes making mooring reservations online. Catalina Island Co. dedicates a web page to Two Harbors Rules and Regulations, as well as mooring usage and how to leave the mooring once a stay is complete. Available from Thursday evenings at 10 p.m. until Tuesday nights for reservations beginning on Friday, reservations can be made through the Netmooring Reservation System on Catalina Island Company’s website. A minimum of two nights must be booked, three on holiday weekends, and the maximum is six days. Apps and websites such as SlipFinder have taken the lead on providing boaters and marinas with a service allowing them to find a slip with relative ease. On this particular app, there is a separate portal for boaters and marines to reserve a slip or mooring or, alternatively, advertise the mooring as available. Like this site, many others have become available, being advertised as the nautical versions of Airbnb and the like. Most of these sites do not appear to charge a booking fee and offer competitive rates and, in some cases, offer a price match guarantee. As online applications keep developing for the detailed, specific needs of boaters and marinas, questions arise over whether sailors will embrace the apps and use them more frequently, perhaps encouraging more expansive trips and adventures, or if it will further complicate their seafaring excursions.